Rooftop decks installation in High-rise commercial or residential condos buildings in the great Toronto are often utilize as urban landscaping techniques to create “green spaces” or “sky parks”. This trend in outdoor living is increasing, many deck builder contractors and architecture firms are specialized in the design, construction and maintenance of these spaces. Rooftop decks installation are extremely popular in areas where people don’t have a lot of room to spread out. When you’re living a city that is more like a concrete jungle than a suburban paradise, you need to find ways to make the most out of your space. 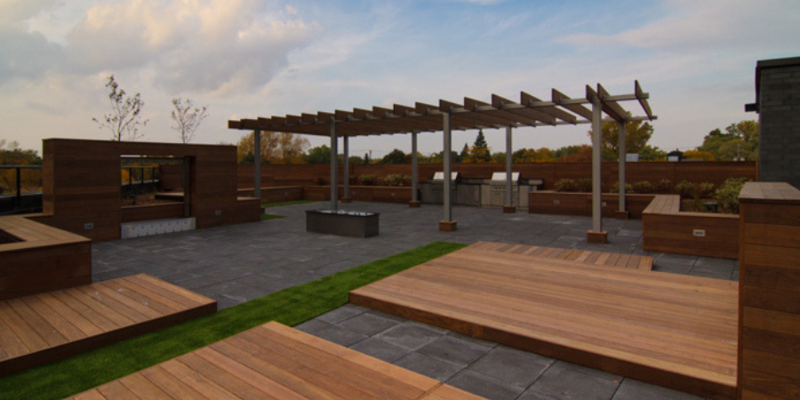 Crowning your building with the construction of a rooftop deck allows you to experience a little outdoor living. Whether you want a rooftop deck to relax with the family and friends after a long day, or to entice customers to spend more time at your business. Like any other roofing project, materials are an important part of both safety and value. Choosing materials that are approved for outdoor use and are fire resistant is often required by building codes for rooftop decks. Therefore, it’s helpful to work with a professional rooftop deck contractor as Super Deck Toronto before proceeding with a project. Roof tops: Two basic types of roof systems are commonly found in Canada for retrofit and new roofing. Roof systems that specify insulation below the waterproofing layer, and roof systems that have extruded insulation above the waterproofing membrane. 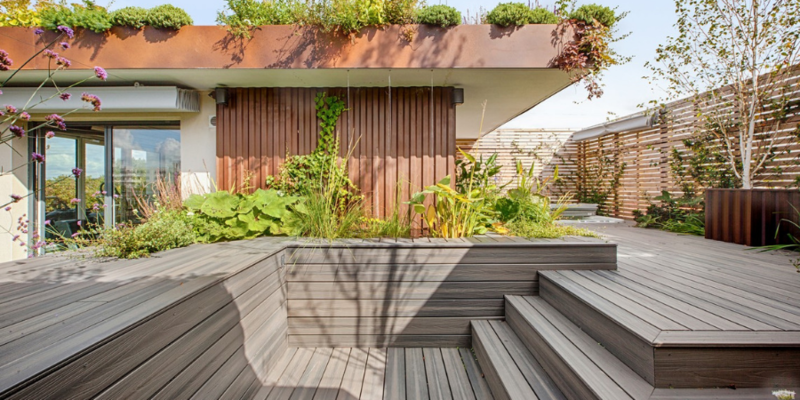 The use of adjustable pedestals is perfect for those condition to create levelled rooftop decks over sloped surfaces.